You’ll be cared for by our highly trained staff of dental professionals. 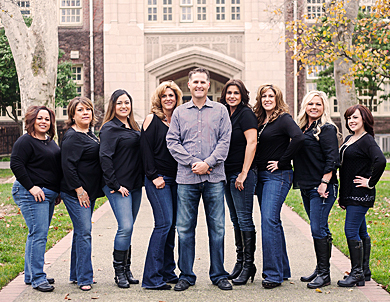 We are energized to work as a team while providing the highest quality of care for your dental health. We offer complete dentistry for the entire family at a single location. Call (209) 478-1136 to find out more! Customer Reviews: See what our patients are saying. This Essentially invisible solution adjusts teeth alignment while allowing you to eat whatever you want. Root canals help end tooth pain and eliminates infections in the nerve tissue. Improve your smile and oral health. Straighten your teeth and correct jaw alignment.